Anne Chertoff is a wedding industry consultant and creative matchmaker who brings people together to establish new and successful business relationships. 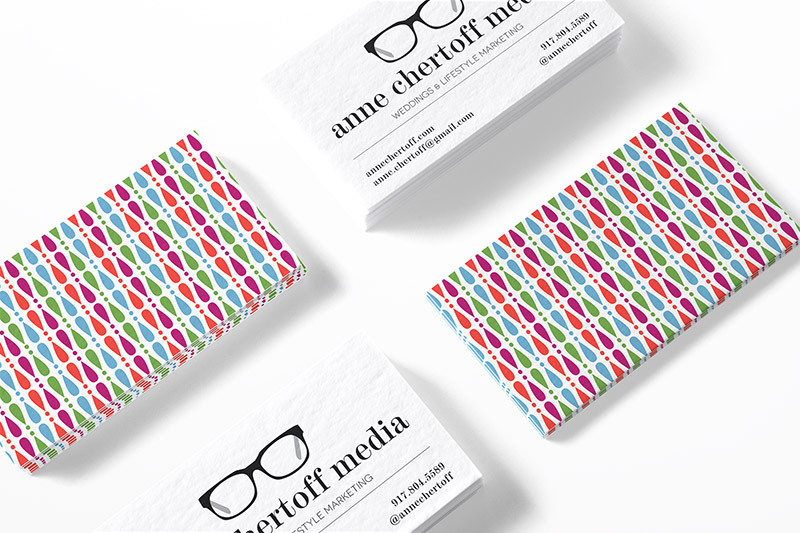 When establishing her company, Anne wanted her brand to convey her modern aesthetic and fun personality. Her eyeglasses were a fun graphic element and the jewel tones helped to punctuate the vast amount of white space.